Two years ago, we had the opportunity to visit Fakulteta for the first time. I had learned about the area on the Internet and we decided to pay an exploratory visit to learn more. We spent an afternoon walking through the area, played some music, shared Jesus and prayed with people on the streets, and visited two churches in the community. One of those churches was the Revelation Church pastored by Nayden Borisov. We returned the following year and helped the congregation with some construction and spent a day in fellowship. We're planning to return this year and partner with them in an evangelistic event to share the hope of Christ with the Romani. I've written on this blog before about the plight of the Roma people (or, gypsies) in Bulgaria. Facing heavy discrimination, they deal with high illiteracy and unemployment rates, as well as poor living conditions in segregated areas. 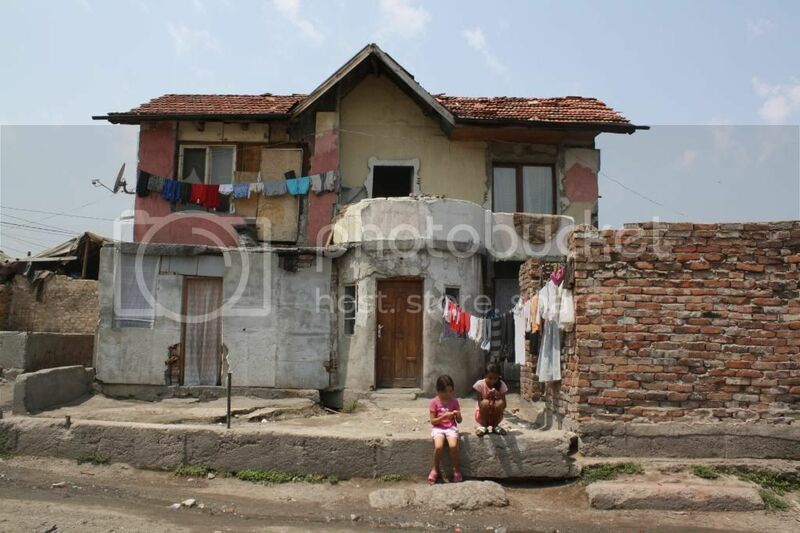 Most of the Roma people in Bulgaria either live in villages that are almost exclusively Romani, or in segregated areas of the larger cities referred to as "mahalas." The mahala is essentially a ghetto, which is defined as, "a quarter of a city in which members of a minority group live especially because of social, legal, or economic pressure." The second-largest mahala in Bulgaria is Fakulteta, located in the capital city of Sofia. About 30,000 people live in an area of only a few square miles. The neighborhood has limited utilities and other resources but is a thriving community of people who are ripe for the gospel. 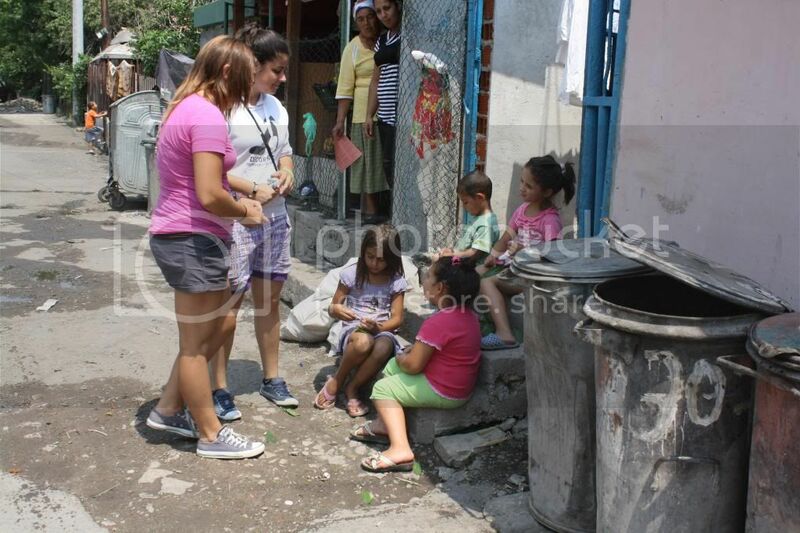 The Revelation Church has a small building in the heart of the mahala from which the gospel is going forth, not only into Fakulteta, but to Roma communities throughout Bulgaria. In addition to raising up and sending out pastors, the church also feeds 30-40 children each day. We are partnering with the church this year to hold a one-night evangelistic event in order to preach the gospel of Jesus Christ to as many people as possible. Borisov has secured a stage with lighting and sound and has begun advertising the event. We will be gathering together on Thursday, July 3 at 7:00 pm (that's 9 am, Thursday morning, for those of you in Arizona who want to be praying for us). The program will include an hour of praise, followed by a drama presentation and then I (Pastor Mike) will preach. Afterward, we will provide an opportunity for people to come to Christ and we will pray for the sick. The event will be a little outside of our comfort zone for most of us from Calvary Bullhead as it is unlike anything we've done here. The church we are working with is definitely of a more Pentecostal nature than we are but I have been struck by the godliness and character of the Roma men that I have met from the congregation and am blessed by their vision for their nation. I am proud to come alongside them as they preach Christ Jesus, and Him crucified. Their gospel is our gospel, which is, ultimately, Jesus' gospel. It is an honor to have this opportunity to preach that gospel to a people who are hungry for it and I pray for the Lord to bring forth remarkable fruit. Please be praying with me!